New deal on Day 6 of 20 days of deals! 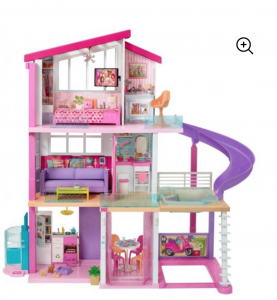 Grab the NEW Barbie DreamHouse Playset with 70+ Accessory Pieces for $169.00! (regularly $199.00) A $30 discount is probably the deepest one we will see this Holiday season on this toy, it may not last long, so grab one while you can. Plus, it will ship free.